Mario Perdue aka Mario Too Blessed is a Christian rap artist from Jackson, Ms with one mission at hand; to share the love of Jesus Christ through his music and make disciples of all nations. His message is strong urban, gritty and direct about what he believes and stand for when it come to his relationship with Christ. 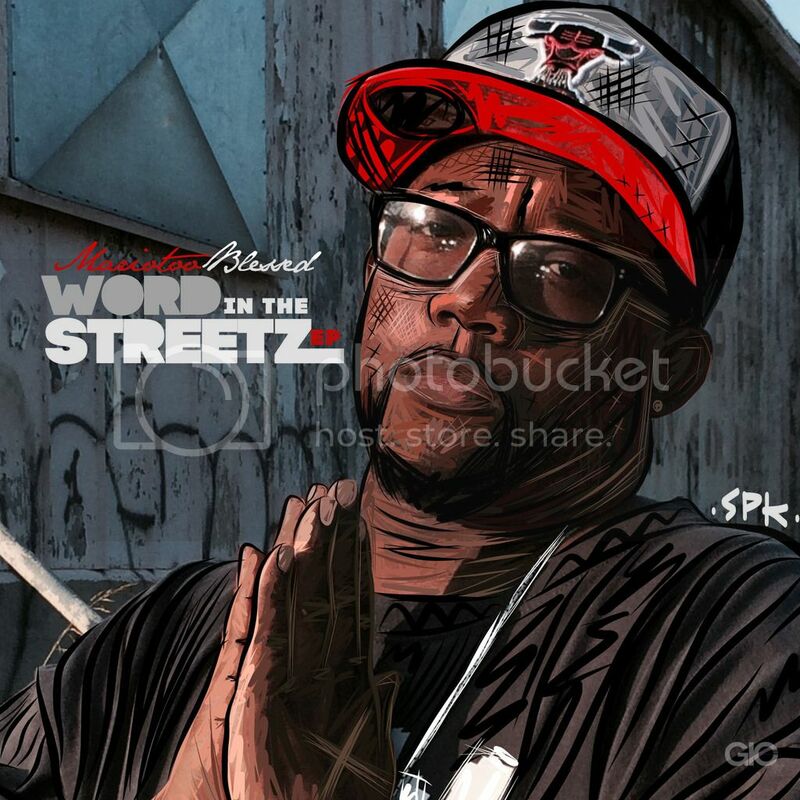 His EP Word In The Streetz is a collection of songs he created while going through the ups and downs of life, struggling with what we go through on a day to day basis. Testimonies like his song “Yes I Know” are a testament to let you know God is always with you. While this EP has some fairly strong moments, it lacks a special touch to make it stand out. Mario’s style requires a heavier beat to make up for the grittiness. For example, in the first song, “Lord Have Mercy”, the hook is repeated extremely often, but the vocals are the emphasis. His lack of flow with his delivery means that there at least needs to be a beat to make up for that. Instead the bass and beat are too quiet in the background. This problem carries throughout the entire project. Mario shows flashes of talent at moments, but they become overshadowed by the sub-par mixing and mastering. The beats themselves aren’t bad, but they get kinda washed out by the vocals when they should be a major emphasis. In “Soldier” and “I Cry” there seems to be some potential for a breakthrough. They both start of fairly well with better refrains than the rest of the project. The verses still could use something to fill in with the slower rapping, but they’re still two of the better tracks in the EP. They also carry the large God focused theme throughout them. I can see that he may be trying to have the focus on those deeper lyrics instead of just on the sound. That’s the strongest point about the project. There’s no subtly in his emphasis on Jesus, and that’s a strong thing for him to carry on with. A trend that I’m not a fan of in hip-hop in general is the repeating of a hook way too many times. There are many great songs out there that suffer from this problem. “Thank You Lord” is another pretty good track that follows this trend. It has some of the best rapping in the project, and the hook isn’t bad at all, but I would have liked to hear the verses extended and a few less repeats of that hook. This is just me being picky though, so apart from that it is a strong track. With just a few touch-ups in the mixing and mastering department Word In The Streetz could have become a much better project. Still, it is respectable in it’s message with a few tracks that are worth listening to. The occasional flash of skill shows what Mario can do, and with some slight changes he could develop into a much stronger artist. The gritty style can work very well, and he just needs to find the right balance with the beat to take his next steps as an artist.